Turn your logo or product into a custom shaped Pop Socket style phone stand perfectly designed to reflect your brand or product identity. 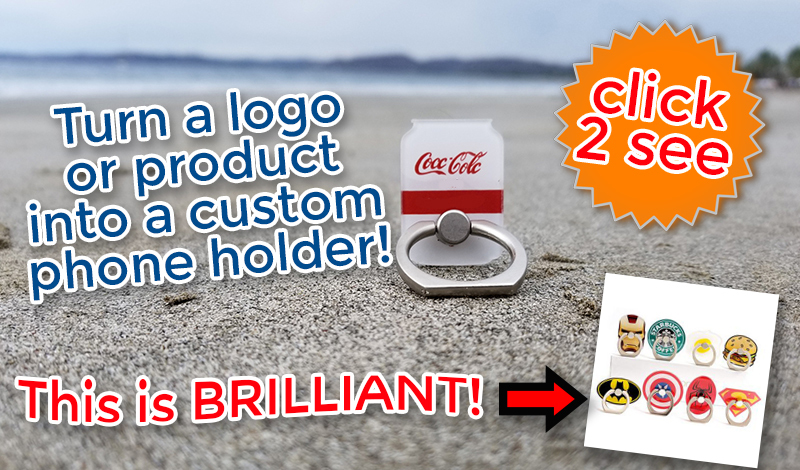 Phone stands are hot in the promotional product market these days and what better way to get your message across than to get it done as a custom shape? 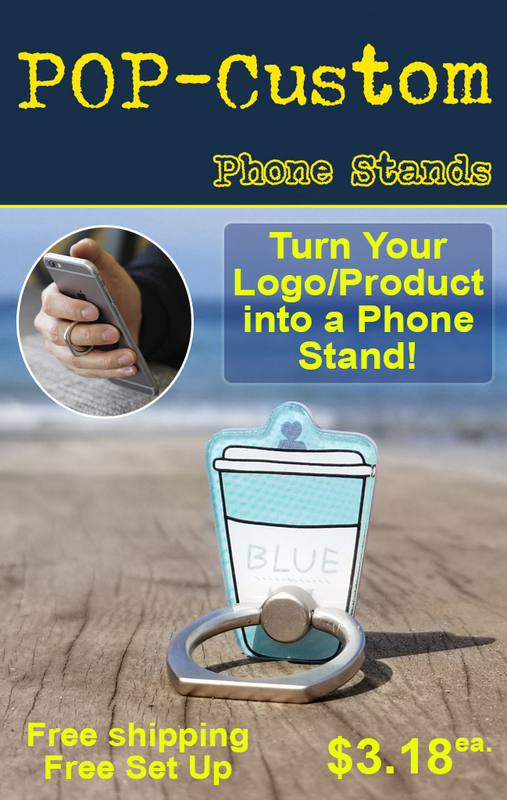 Personalizing your clients logo as a custom shaped pop phone stand is a great branding statement! One of our most popular new ideas is the custom shaped pop phone stand. Custom CNC machined plastics complete with all of your clients brand identity and a full color logo imprint. What an amazing concept! Minimum order of 1000 units is only $1.88 each and includes all set ups, freight and design work. WHAT!!!!! ← How does a collapsible straw work? The Last Straw for Promo Swag.